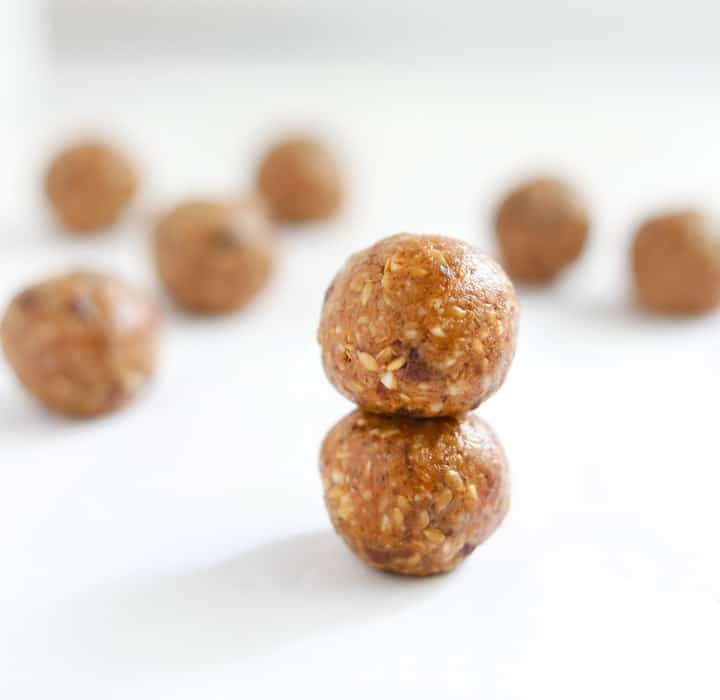 These Almond Butter Balls are so easy to make – 5 ingredients, 10 minutes and you have an awesome protein packed snack ready! 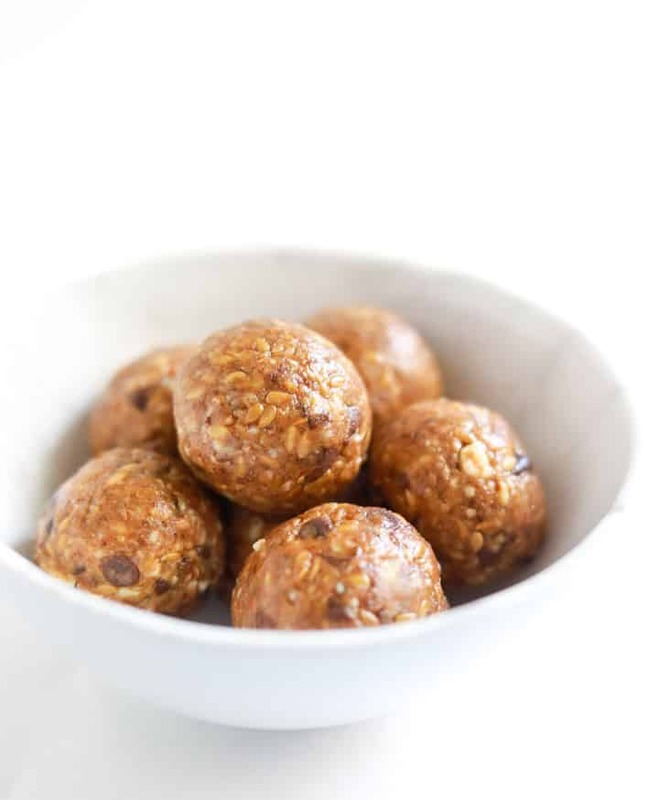 I have been making these energy balls to have something healthy to grab for a mid-morning or on-the-go snack. 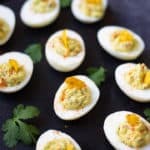 These are also a great snack for kids. The truth – my daughter will only eat them if I add some sort of chocolate to them. So here you have Chocolate Date Almond Butter Energy Balls! 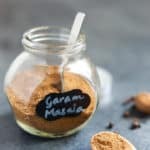 The best part is that these Energy Balls are easy to customize to suit your taste and make with the ingredients at hand. 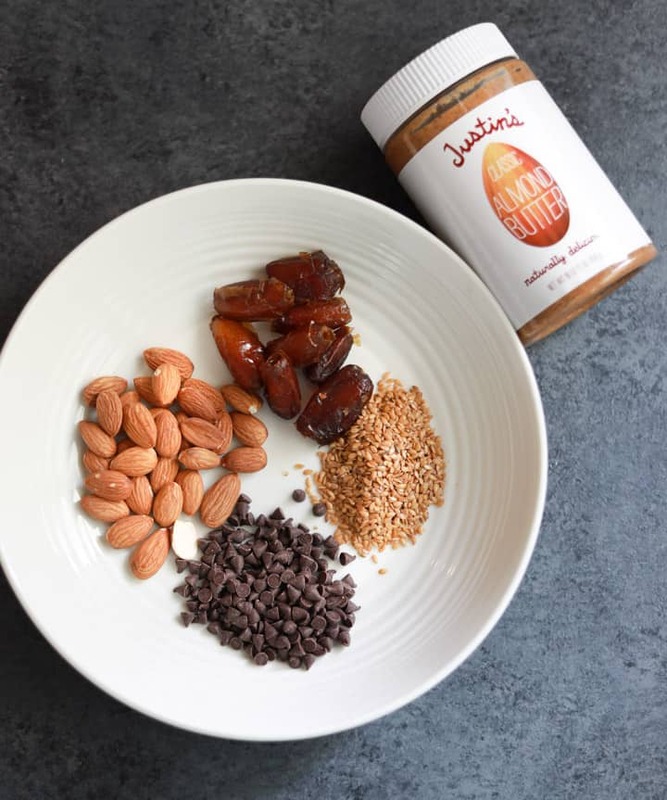 What you need to make Almond Butter Energy Balls? 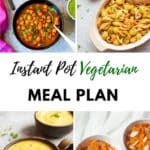 I recently started ordering from Thrive Market and have been enjoying getting pantry staples at home, rather than having to go looking around in stores. They are known for selling organic foods and natural products at 25-50% below traditional retail prices. Now who does not like that..and don’t forget delivery to your doorsteps! Thrive Market has all the ingredients I needed to make these energy balls. I ordered a jar of Justin’s Almond Butter, which is our favorite. Give them a try if you have not already. Here is a special discount from Thrive for my readers – 25% first order + one month free trial! These energy balls are also very customizable. No almond butter? Substitute with peanut butter or any other nut butter. Use Almond flour in place of whole almonds. Like chia seeds…add them in. 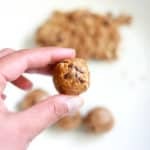 How to make Almond Butter Energy Balls? 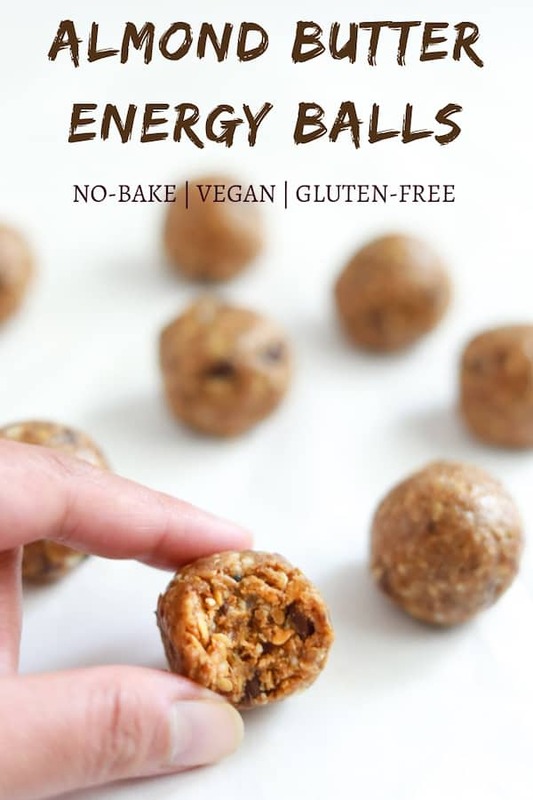 It is very easy to make these energy balls. 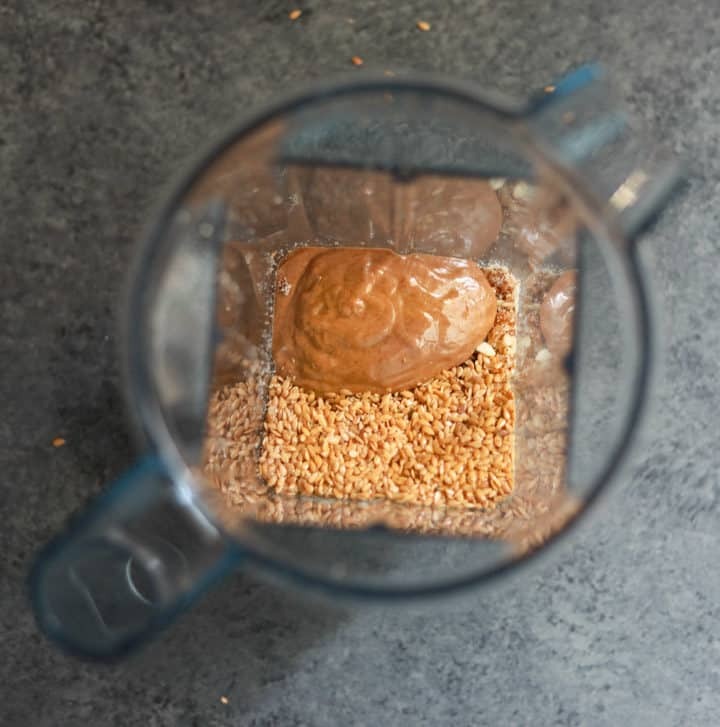 Add the dates and almonds to food processor or high-speed blender such as Vitamix. Pulse to coarsely grind them. Add the flax seeds and almond butter. Then pulse again to just mix all well. You want to make sure you don’t over-process the mixture. The dough should look crumbly but be able to stick together when pressed between your fingers. Remove the dough from the blender and add chocolate chips. I used mini chocolate chips so there is not an overwhelming chocolate taste to the balls. Roll the batter into little energy bites. I could make 9 balls from the batter. The number of balls will change based on the size you roll them in. That is all…it took just 10 minutes to make these cuties! Are these Chocolate Almond Date Energy Balls healthy? They are not the healthiest thing in the world. However they are healthy-ish. They have all the good ingredients. Okay…skip the chocolate chips and they are even healthier 🙂 But dont forget, they are perfect to satisfy those sweet cravings! These almond energy bites are about 110 calories a piece. These energy balls can last between 7 days up to a months. That said, in our house they don’t last more than a week for sure. I just leave them out in an air tight container on the counter for up to a week. Refrigerate if you want to store them for longer. 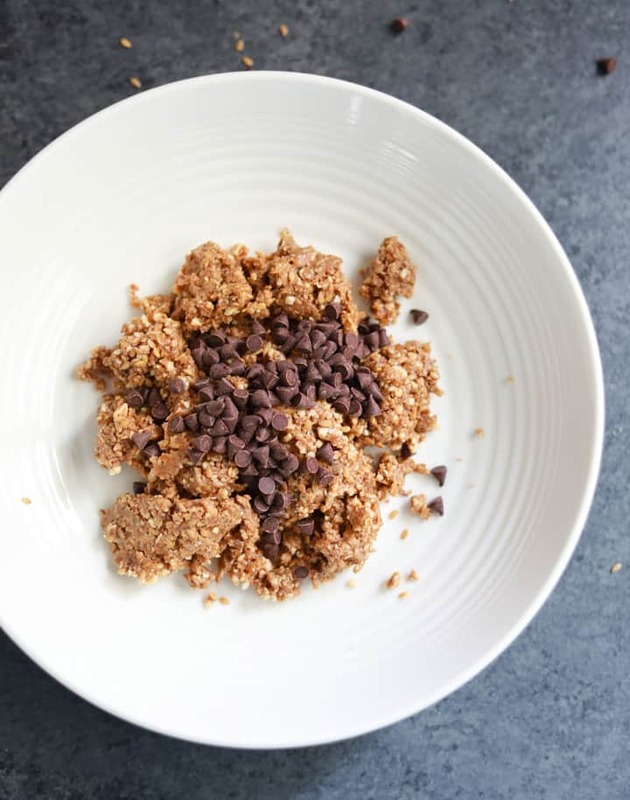 Make a batch this week and have a healthy, easy snack all week long! 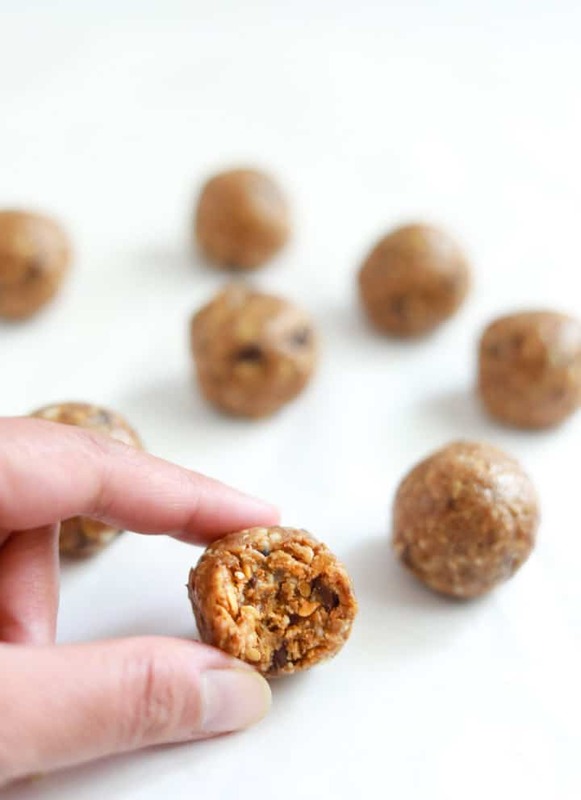 These no-bake Almond Butter Energy Balls are so healthy and delicious. 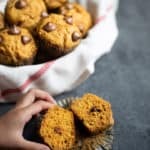 With the goodness of almonds, dates, flax seeds and dark chocolate chips, they are healthy, easy to make and perfect for a quick snack on the go! 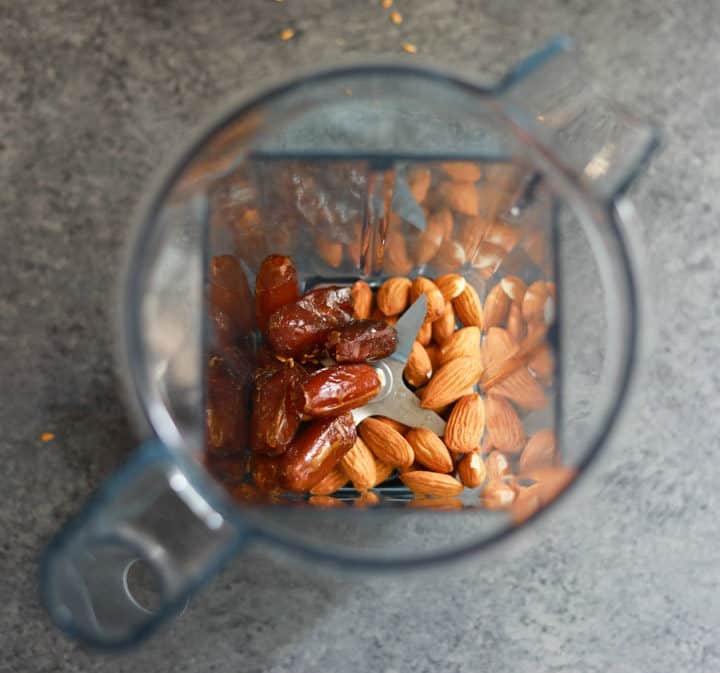 Place almonds and dates into the food processor or high-speed blender. Secure the lid and pulse for 6-8 times to coarsely grind them. Add the flax seeds, almond butter and salt. Then pulse again to just mix all well. You want to make sure you don't over-process the mixture. The dough should look crumbly but be able to stick together when pressed between your fingers. Remove the dough from the blender and add chocolate chips. Roll the batter into little 1-inch energy bites. This quantity makes 9 balls. Pot in fridge for 15 minutes to set. Else eat as is! When does one add salt ? 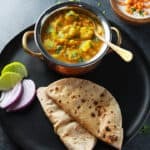 Hey Bhawna – Sorry for the miss. I have updated in the recipe instructions to add along with the almond butter.